Queensland’s unicameral parliament limits oversight and scrutiny of government decisions. Despite being well intentioned, the abolition of the Queensland Parliament’s upper house has had a negative and lasting effect on public policy and there are important lessons that can be learned from this Australian state’s experience. In the early 1920s Queensland was in parliamentary turmoil. The recently born Labour Party had established itself as the political majority in the state but its legislation was regularly frustrated by the state’s upper house, the Legislative Council. The Legislative Council’s conservative majority maintained its position courtesy of a process of appointment that saw members serve indefinitely. Labour attempted to break the impasse by first legislating the Council out of existence and when this failed (the Council unsurprisingly, rejected the Bills), appealed to the public at a referendum, unsuccessfully. Ultimately, the Labour government swamped the Legislative Council with new appointments – the so called ‘suicide squad’ who voted the abolition of the body in 1921. 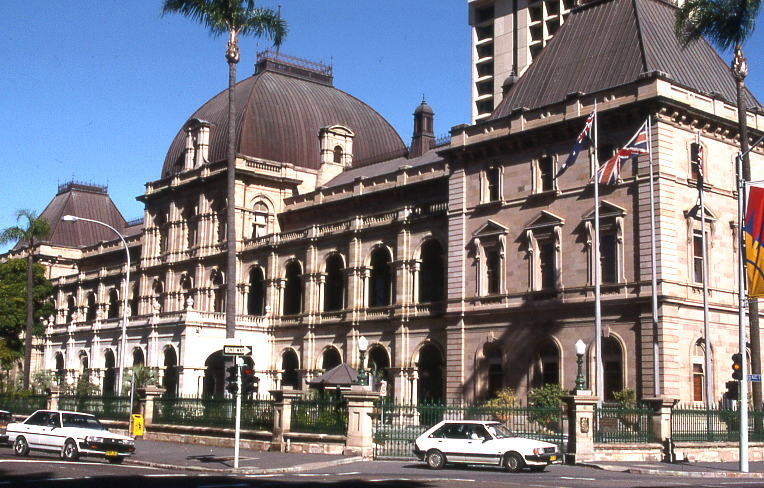 Queensland’s State Parliament became one of the few in the world to abolish its Upper House and since has operated as a unicameral legislature. The abolition of the Legislative Council was hailed as a chance for government in Queensland to function as the people wanted – their democratic will could be enacted without the hassle and cost imposed by the state’s house of review. For a time this was precisely the case. A backlog of legislation became law including the creation of one of the world’s first workers’ compensation schemes. However, since the 1920s the lack of any meaningful parliamentary review of government decisions contributed to a centralisation of government decision-making powers into the hands of an executive that knew its decisions would receive limited parliamentary scrutiny. In recent decades, this lack of parliamentary oversight combined with the trend in modern-politics for centralisation of power with presidential-style campaigns, political party power structures concentrating power into the hands of the top-tier leadership and a media cycle that reinforces this has seen increasingly poor government decisions made yet receive the Parliament’s stamp of approval. In Queensland’s case, at its worst, this manifested in 32 years of unbroken rule by a right-wing party supported by a minority of the state’s voters but maintained in power by electoral boundaries endorsed by the unicameral parliament which guaranteed the re-election of the government despite receiving a significantly lower share of the vote than its opponents; bans on peaceful political protests; endemic police and political corruption; and, for three decades, a scandalously underfunded health and education sector. For much of the 1970s and 1980s the state was known as much for its lack of civil liberties and its police and political corruption as it was for its idyllic beaches and sunny weather. My experience serving in Queensland’s unicameral parliament for three terms was fortunately not during this era but still the shadow a weakened parliament hung over all government decision making and oversight. Queensland’s unicameral parliament simply does not provide for the parliamentary opportunity to scrutinise Ministerial decisions to the degree that should be the case. And neither could does a unicameral parliament’s committee system allow for adequate scrutiny of legislation. Lack of oversight and increasing centralisation of political decision making contributed to a sidelining of diverse voices and ideas. The government groupthink that takes hold in such circumstances inevitably results in poor policy decisions. In Queensland’s case, the most striking of these involves poor spending decisions that committed the government to billion dollar road construction projects when, for a fraction of the cost, there were public transport solutions. Today, Queenslanders are suffering from a budget crisis, service and public service job cuts, significantly contributed to by poor government spending decisions such as these a decade ago. Modern Parliaments need more rather than less diversity and more representatives with the time to pursue issues in depth and without the constraints of stifling party discipline. In contemporary parliaments this is a role most easily fulfilled by an upper house – in Ireland’s case, Seanad Éireann. The notion that the Seanad is beyond repair says more about the administrative capacity of the government to manage this reform than it does about the Seanad. Far too many political problems are caused by decision makers not listening to the community and it is not going to give us better policy outcomes if political leaders have even less requirement to listen to people’s voices. My experience in the Queensland parliament was that a unicameral parliament cannot deliver the necessary scrutiny of government decisions and I’m a big believer in the importance of a having a house of review in every Parliament. Queensland’s state parliament is one of the few in history to abolish its upper house – and in public policy terms the experience has been far from positive. The diaspora does not get a formal say in the Seanad referendum, all we can offer is our advice and experience. In this case my experience says – keep the Seanad, reform it and use it to hold the government to account.